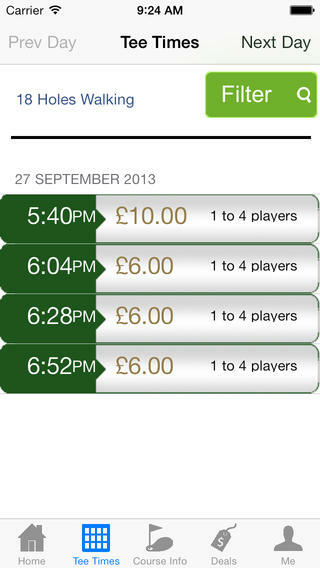 Book Your Tee Time Online - Save Money! • The online tee bookings is the best place to access best prices on green fees, discount tee times, golf discounts and tee time reservations. 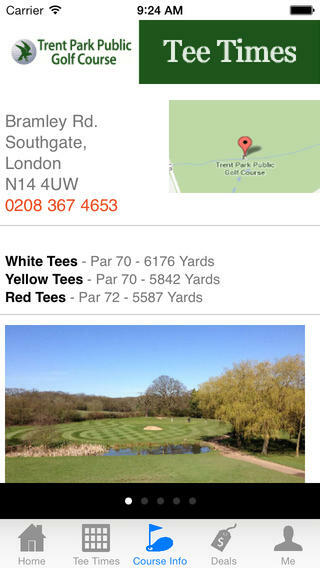 All Tee Time bookings and Cancellations are made via this website. Please click on the banner above to make a booking. Phone or in person bookings may still be made with the Starter for same day bookings only. If you are a 1 or 2 ball wishing to play on the weekend we often have late availability even if the online tee sheet appears booked so in this case please call the Starter on 0208 367 4653 and we will endeavour to match you up with another 2 ball group. Or if you don't mind waiting a bit just turn up on the day and we will almost always get you a game. 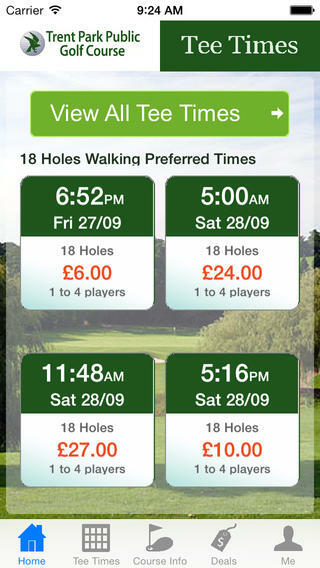 • Please note green fees on Bank Holidays are charged at weekend rates. • Identification is required for all Concessionary green fee Rates. If you are eligible for a concessionary green fee rate please book online and select the Full Rate green fee rate but you will only be charged the appropriate Concessionary Rate green fee on the day upon proof of eligibility. 2 for 1 golf ( 2 4 1 golf ) and other great green fees offers and discount golf are sometimes available on our website in off peak times to help you save money playing golf. The online tee bookings website is the best place to access best prices on green fees, discount tee times, golf discounts and tee time reservations. Open competitions at Trent Park golf london, open to all comers, are held regularly in the summer months and are bookable from the online tee bookings site. 1) AT WEEKENDS DURING PEAK PERIODS SMALLER GROUPS WILL BE PAIRED UP TO MAKE 4 BALLS. 2) NO PAYMENT WILL BE DEDUCTED FROM YOUR CARD (you can pay individually on arrival).